Large Long & Narrow Living Room that needed rearrangment of existing pieces and some decor placement. 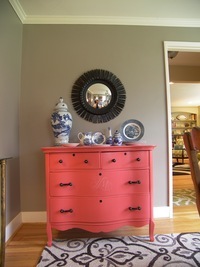 Client loves color and pattern. She wanted to make her space to make her feel happy. The pieces were already purchased but needed some pulling together. The result now makes her very happy. Custom painted family heirloom with monogram of family member's initials. 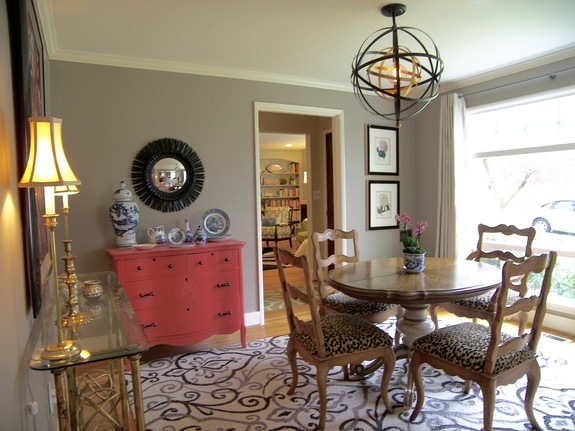 To continue with the happy feelings in the dining room we added the area rug, console table, light fixture, recovered dining chairs, had the family heirloom custom painted as well as having the dining room painted a new color and placed the clients art. 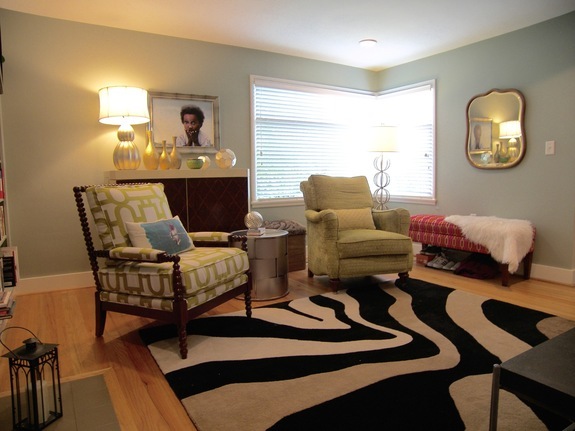 It came out to be a very custom room and is well used and loved.